Amongst salaries, sponsorships and event awards, more than 5 million US dollars (+4 million euros) accumulate over a single season. The amount is big, but still not enough to enter the ranking of the 100 best paid sportsmen. We can say Surf is still far away from that achievement. The three-time feminin world champion who recently married , has fallen a position in the ranking of those who receive more. She traded Target for Subaru on the list of sponsors in 2017, and although she finished the WWT season in 5th place, she is still one of the most popular female faces these days. Her winnings in 2017 amount to 1 million dollars, with about 194 thousand coming from prize moneys in WSL events. They call him the new Laird Hamilton and he is clearly a man of the seven trades. A true waterman who surfs all kinds of waves ... with any kind of surfboard under his feet (even a door). At the moment in 1st in the ranking of the Big Wave Tour, the most probable is that it will become the new world champion of big waves and increase considerably his market value. In combined earnings, the Hawaiian has just over $ 1 million. New entry in the top 10 . 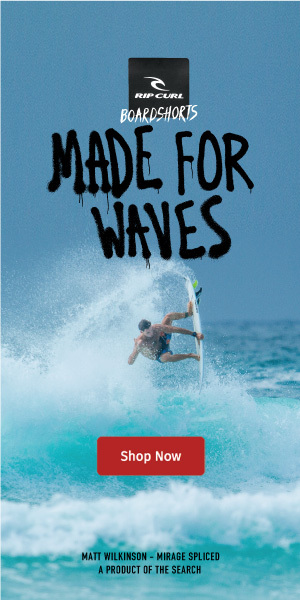 At the age of 22 Filipe Toledo is back in the top 10 and practically maintains the position of last year, thanks to a group of non-endemic sponsors that make all the difference. He received just over 1.6 million dollars (303 thousand are related to event awards) and is considered one of the most spectacular surfers in the world. The hexa surfing world champion ended this year as runner-up after having registered three appearances in finals and two CT victories during 2017. If she's not the best surfer in the world... well. The total gains have also risen, from 1.4 to 1.7 million dollars ($ 242,000 are related to prize moneys). She climbs a position but keep on being the best paid female surfer at the present time. He got down one position comparing with 2016, but still earned more than 2 million dollars (202 thousand championship prize money). A $ 600,000 drop from the previous season. He is, without a doubt, the most mediatic Californian surfer nowadays. The Australian got to the top of the rankings of the richest and also increased combined earnings over the past 12 months from $ 2.3 million to $ 2.4 million (282,000 from events). Once again he was in the world title fight, but finished third year and only with a victory - in the Billabong Pro Tahiti. The South African giant, who lives a few years ago in San Clemente, California, again saw the world title flee this season. Once again! However, he continues to be one of the most mediatic surfers in the world and, as such, has returned to guarantee a very healthy income, around 3 million US dollars (total of 2.7m, with 284,000 of prizes obtained in CT). It is unclear what will be the future of Mick Fanning in the World Tour. However, the Australian, 3x world champion, remains one of the highest paid in the world of surfing, even after a very dull season (ranked 12th). After registering $ 2.8 million in 2016, MF presented mixed earnings of more than USD 3 million last year (150,000 of which comes from prize-moneys ). In the front seats nothing new. With the exception that Gabriel Medina lowered from a yield of 5.5m to just over 4 million US dollars (374,000 of which are prize money at events). Still, impressive numbers for the surfing universe and for the 2014 world champion. Gabriel Medina is surely one of the youngest surfers who enjoys greater notoriety, beating the numbers of Kelly Slater more than double in the social media. The Hawaiian shivered (slightly), but at home, even with some controversy, sealed the second world title of his career. They were not really counted, but John John seems to be always the one who has the most fun and relaxed in the water. It returns to be the highest paid surfer on Planet Earth, even though there has been a drop of 6.1m to 5.6 million USD - with 322,000 referring to event prize moneys.